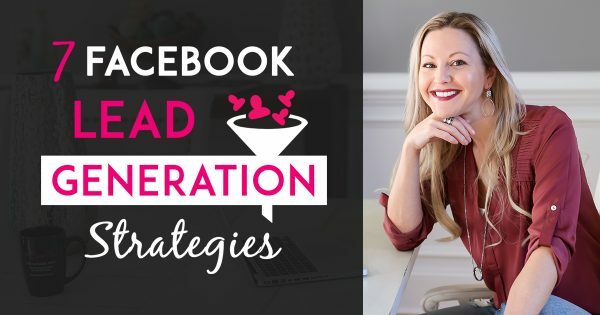 I’m excited to share with you 7 Facebook Lead Generation Strategies that I use to grow my business. If you want leads and prospects for your business you have to go where all the people are. And right now, ALL the people are on Facebook…which makes it the perfect place to find teammates and customers for your business. In this episode of Tanya Aliza TV, I’m going to share with you 7 Facebook Lead Generation Strategies that you can implement immediately so you can stir up more sales and sign-ups for your business. 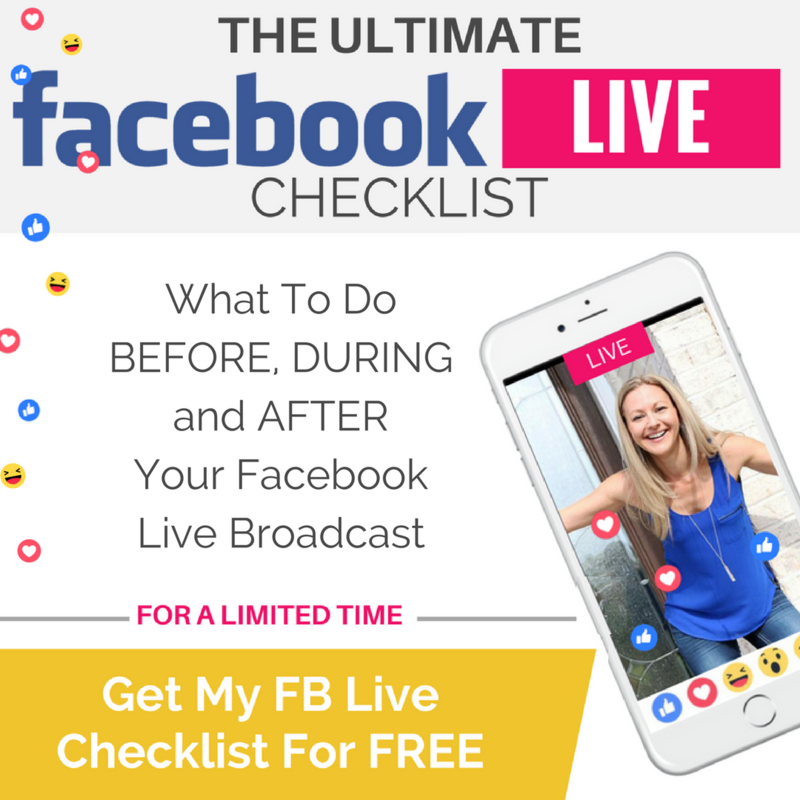 This week since we’re learning all about Facebook lead generation strategies I want to give you My Facebook Live Checklist so you know exactly what to do before, during and after your Lives so you can get the best results from them. So make sure you download it by clicking on the yellow button above. I’m going to share with you 7 Facebook lead generation strategies that you can implement today and start seeing results with fast. Cause who doesn’t want more sales & sign-ups right? Because it’s the fastest, easiest and it’s free. Doing Facebook lives is one of the best ways that you can build up your audience and generate leads. As a matter of fact, Facebook is now giving more exposure to the people who are doing Facebook lives versus the people who are paying for advertising on Facebook. So make sure you include 1 Facebook Live per week into your marketing strategy so you can generate leads and sales and grow your audience FAST. PRO TIP: You want to educate and entertain your audience with topics that they’re interested in. And always have a call to action that leads into a way for them to learn more. I’m not going to go too deep into what a Chatbot is because I already did a really good training Episode with my friend Mark Harbert that shows you how to use ManyChat for your business to generate a lot of leads and sales. The cool thing about this strategy is that I use it together with my Facebook Lives to get a lot of people on my email and Facebook messenger list. It’s pretty awesome and I’ll link to this episode in the show notes section below. Paying Facebook to run ads that generate you leads is also a great strategy to use for your business. If you don’t know how to run Facebook ads or you’re running ads but you’re not getting results with them or you’re losing money, then you’ll want to check out a Facebook Ads course that I put together for people who want to run ads that get the best results for the least amount of money. The course is called Facebook Ads Revealed and I show you exactly how I run my Facebook ads and how to run yours so you get a positive return on investment. And trust me it’s not hard or rocket science. I’ve been running Facebook ads from the moment they came into existence and once you understand the fundamentals you’ll be able to get great results with them. I’ll leave a link to my Facebook Ads Revealed course in the show notes section below. Using Facebook groups is an incredible way to build your brand and audience. For me, it’s been a great way to build my brand and community of people who come to know, like and trust me and then go on to take my recommendations and buy my courses. The same can happen for you with a Facebook group. 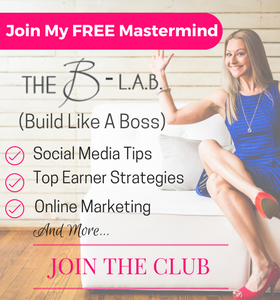 If you don’t have a Facebook group yet I recommend you use a closed Facebook group that you make available for free and start making everyone aware of your group when you do your Facebook Lives. If you want to learn more about using a Facebook group to grow your business I’ll leave a link to Episode 49 where I show you How to Use Facebook Groups to Grow Your Business And Encourage Prospects To Join You Faster. I want you to have a very strategic posting schedule on Social Media. However, I don’t want you to hang out on Social Media all day long. That’s why it’s important to have a social media posting strategy that gets you profits to leverage and maximize your time. 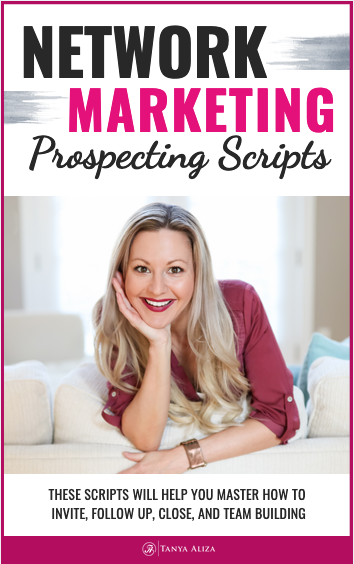 If you want to see my posting strategy, copy it, and make it your own, then you’ll want to learn more in Episode 42 where I show you How To Post On Social Media To Make More Sales in a strategic way. I’ll leave a link to it in the show notes section below. You want to make sure that you’re using a social media sales funnel. When people watch your Facebook lives or posts you want them to have a place to go so you can collect their info and follow up with them. ManyChat which I mention in Strategy #2 can be used as a social media sales funnel. But there are other ways to set it up as well. I’ll leave a link in the show notes to a really cool course that I have called Unlimited Fan Page Profits. Inside this course, I show you how to build your Brand & Fan page on Facebook and attaching all of what you’re doing to a Social Media sales funnel so that you can automate your sales and signups inside of your business. And the last strategy is to engage with the people that are engaging with you. This is huge because it’s where the magic happens. It’s about being social and engaging with each other. But remember to always take people back to your Social Media sales funnel. This way you can leverage your time by following up with those that are most serious about learning more about your business, service or products. So… there you have it! 7 Facebook Lead Generation Strategies to help you stir up more business! Bonus: I have a challenge for you to get you into action fast. Pick one of these strategies right now and go and implement it! This is my go-to checklist that I’ve been using before, during and after my FB Live broadcasts that have gotten me tens of thousands on eyeballs on my products and services! Want to learn how to generate leads and sales using Facebook Ads? In this Facebook Ads Mini Class, you’ll learn how to run Simple Facebook Ad Campaigns for your business without losing MONEY or dozens of HOURS in the process…even if you’ve never run Facebook Ads Before. If you don’t have a Facebook Fan Page yet and you’re looking at all these rock stars with Fan Page and you want one for yourself… Unlimited Fan Page Profits is a training that I put together that will walk you through the steps of building a Profitable Facebook Page and marketing plan to generate leads, build a big audience and make daily sales. Did you get some value from these Facebook lead generation strategies? 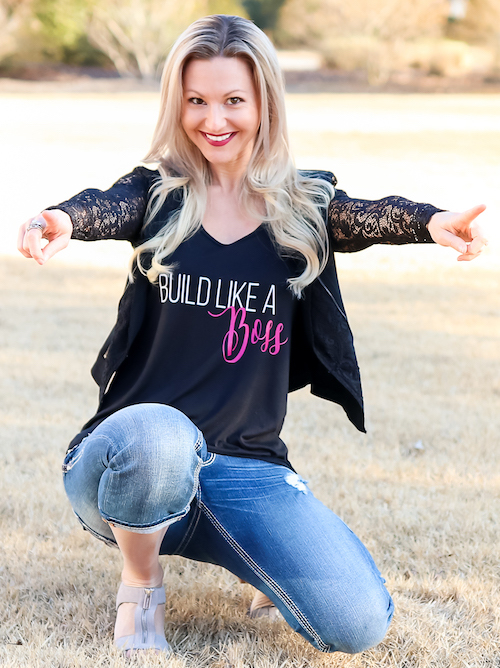 I hope you did because each week I put my heart into making sure you get some amazing Facebook lead generation strategies so you can rock it in your business while creating a life you love. Question of The Week: Are there any Facebook lead generation strategies that you’re using right now that are working well for you and your business? Share them with us in the comments section below and join the conversation!